Nintendo today announced that the new 3DS console has shipped 3.6m units since its launch, falling slightly below its own forecast. The company is describing the figures as a "smooth start" to investors, despite missing out on the four million mark it had originally predicted. Nintendo also announced that is has sold 9.43m games for the console, which was launched in Japan in February and in US and European markets at the end of March. It's no surprise that Nintendo chose today to confirm the Wii 2 successor as its profits are way down for the financial year ending March 31st. 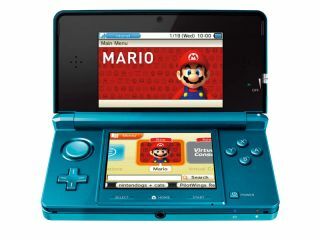 Net income was down 66 per cent to 77.6 billion YEN (around £545m) with the blame being pointed at stagnant sales of the Wii console and software. Wii sales are likely to fall 14 percent to 13 million units during the forthcoming fiscal year, while the world awaits the arrival of the successor system in 2012, the company said.